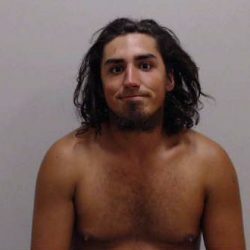 KITTERY, Maine (AP) — Police say a Maine man was under the influence of hallucinogenic mushrooms when he killed a cat alongside a road this week. Officials tell the Portsmouth Herald that Lafleche’s vehicle was impounded and he was transported to the York County Jail, where he remained Friday. A jail official said Lafleche was being held on $1,200 cash bail. It was unclear if he’d retained a defense lawyer.